A board-certified facial plastic surgeon (AAFPRS) performs only cosmetic and reconstructive surgery on the face, head and neck. Training includes post-graduate training in general surgery residency and at least four additional years of specialty training just in head and surgery and facial plastic surgery. Many surgeons specialize further by undertaking an additional year fellowship in facial plastic surgery and become board certified by the American Board of Facial Plastic and Reconstructive Surgery (ABFPRS). For example, Houston facial plastic surgeon Dr. Russell Kridel is double-board certified by the AAFPRS and the ABFPRS. This is in contrast to a general plastic surgeon who performs surgery on the entire body, with no additional post-graduate study required specifically on the head and neck area for board certification. In a nutshell, you want to trust your face --- and in this case, your nose --- to a specialist. Nasal surgery, known as Primary Rhinoplasty, is one of the most difficult surgeries of the face and neck because of the vast differences in each person’s anatomy. Revision Rhinoplasty is even more complex because the anatomy inside your nose has already been altered. Since every nose is different and may have been drastically changed by a previous surgeon, the Revision Rhinoplasty surgeon can not really know the full extent of the alterations inside your nose until he/she begins the procedure. So, it is critical that you identify a surgeon that truly specializes in nasal surgery and has performed hundreds (or more) of revision rhinoplasty procedures. That way, there are no real surprises and you will feel comfortable knowing that the surgeon has the skill set to successfully perform the procedure on your specific nose. 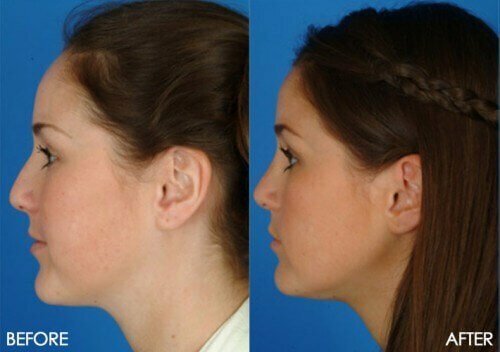 Houston facial plastic surgeon Dr. Russell Kridel is a world renowned expert in Revision Rhinoplasty. He has performed thousands of Revision Rhinoplasty surgeries with extremely successful outcomes. His patients are ecstatic with their results. You want a surgeon who is passionate about noses. A surgeon that is so knowledgeable about Rhinoplasty that they write and publish scientific journal articles to share their techniques with other trained surgeons to advance science for the benefit of all patients. There are rigorous standards for a medical journal to accept a scientific paper, so truly it requires the most devoted and skilled surgeons to meet these high standards. Dr. Russell Kridel has published over 60 scientific articles and text book chapters on Rhinoplasty and Revision Rhinoplasty alone and has been an invited lecturer at medical conferences all around the world on the subject of Revision Rhinoplasty. He has won top honors by his peers and patients and is considered one of the best Rhinoplasty surgeons in the country. When you visit the facial plastic surgeon(s) you have selected, be sure to review their Before & After Revision Rhinoplasty photos. You may also look at the primary Rhinoplasty photos, but you want to be sure to look at the photos of the Revision Rhinoplasty patients performed by that specific surgeon. Your consultation should be extremely thorough. In addition to a medical exam, the surgeon should review your own computer imaged photos so that you can see what your nose will look like post-surgery. At Facial Plastic Surgery Associates, you can expect to spend about 2 hours at our office meeting with Dr. Kridel and his team. Here is an example of a before and after photo. However, when you visit Dr. Kridel's office you will be able to review an extensive book of additional examples. It is very important that you are realistic about what can be achieved, particularly if your nose was significantly altered internally by the prior surgeon. You may or may not be able to have the exact nose you had imagined when you had surgery the first time. However, in the hands of a skilled Rhinoplasty specialist like Dr. Kridel, you will be able to achieve a very pleasing outcome and be extremely happy with the results.